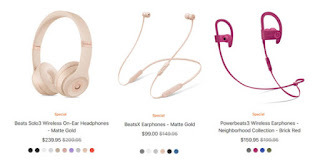 Apple sells 20-34% wireless headphones, including BeatsX, Powerbeats3 Wireless, Solo3 Wireless Headphones at Apple Store Online. 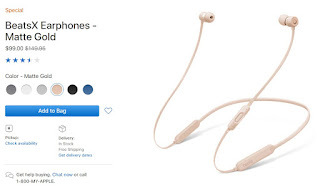 Apple has reduced the price of cordless headsets available for sale on the US Apple Store Online (Nov 2017) with a 20-34% discount. 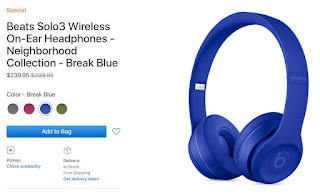 Apple Store Online Thailand will be reduced by the price or not follow up.